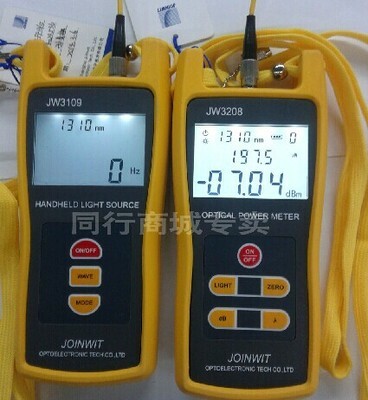 2) The wavelength range, stipulate the scope of a standard work wavelength lambda from lambda min to lambda Max, optical power meter in the wavelength range design can work under the specification. 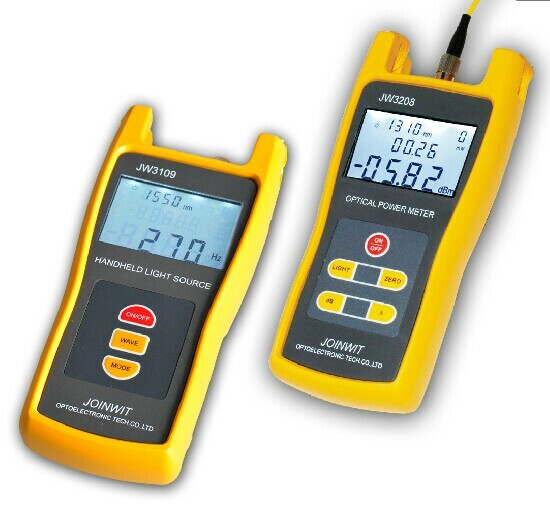 3) power measuring range will be effected according to the provisions of the indicators measuring the maximum light power range. 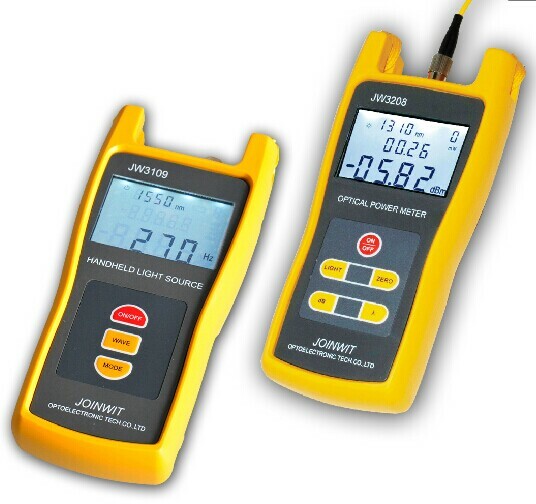 4) uncertainty of a certain light power test results with the standard optical power error between the test results. 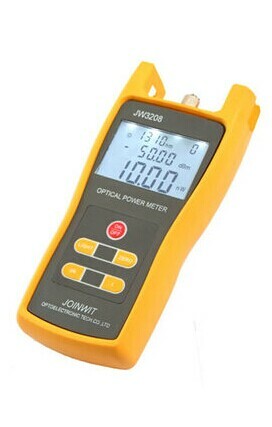 The optical fiber connector connected to the light output port. 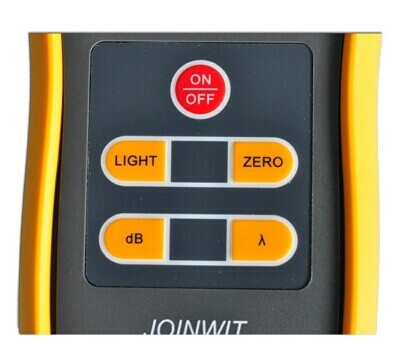 Press the "ON/OFF" key to open the handheld light source, work indicator. 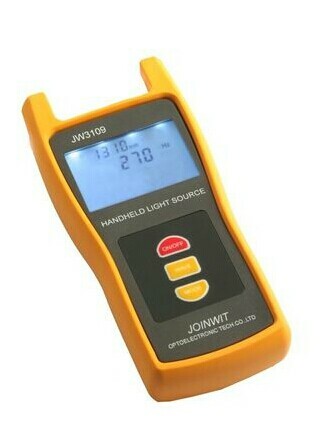 By pushing the WAVE key to adjust the wavelength of light source. Through the press MODE key to adjust the light source modulation frequency. 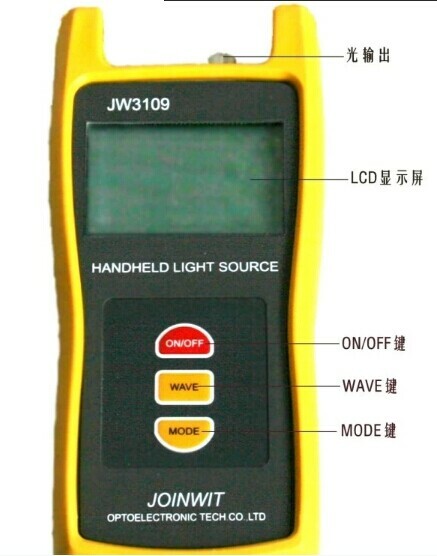 All kinds of working state of the portable light source will be displayed on the liquid crystal instrument. Shutdown: press the ON/OFF button, indicator light, LCD display, power OFF. 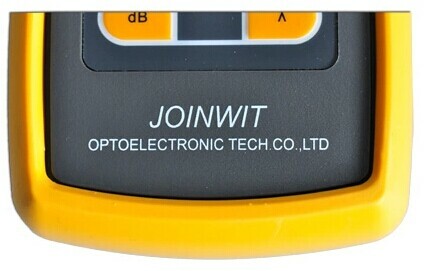 Single bond wavelength switching work, convenient operation and ergonomic design. 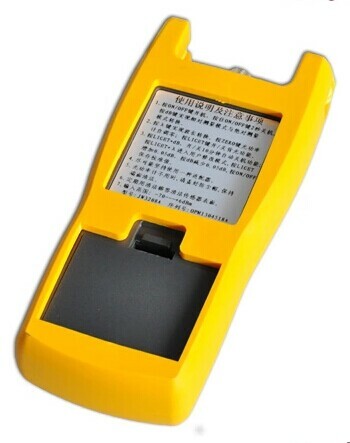 Battery power supply, automatic shutdown, backlit switch, suitable for all kinds of environment. 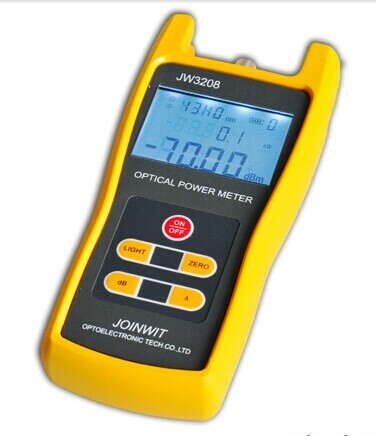 1)Optical Power Meter JW3208 has 2 types: JW3208A and JW3208C.